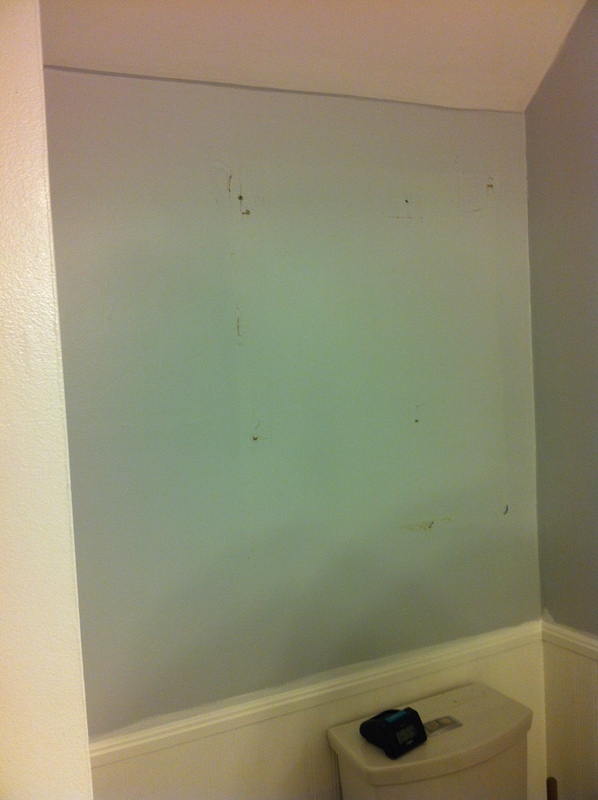 Back in February or March I mentioned that I had the great idea to give our bathroom a face lift. I had this genius idea at the same time that we were painting our bedroom and finishing off Callum’s room. Do you ever get in those zones where you start one project and then you feel like adding three more won’t be any extra hassle? Well it wasn’t so much a hassle to me as it was to Chris. My job was to clean out the bathroom. As I have mentioned before I am not allowed to touch paint so Chris took care of that. I am also not allowed to touch sharp objects because I am a tad clumsy so that meant Chris had to put in the floor as well. The nice thing about not doing the work is that you can take a bunch of pictures. 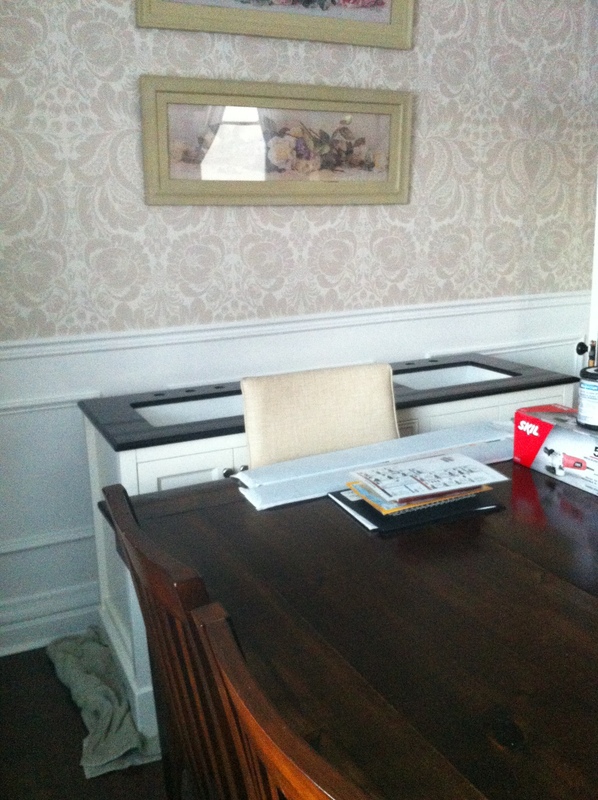 It was dark because of the large cabinet that blocked out a lot of the light over the vanity. You could barely see when you were in the shower. The paint colour didn’t help either. I would do my make up in the bathroom and afterwards see myself in natural lighting and realize that I had completely over done it or I hadn’t blended things in as well as I thought. There was a medicine cabinet over the toilet and it was a crowded mess. I’m pretty sure I threw out 90% of what was in there. The doors on the vanity were uneven and looked awful. Don’t even get me started on the floors! That tile was terrible! The last time this bathroom had some TLC was in the 90’s and it showed. First things first. I had to clean out the cabinets. Turns out I am a bit of a hoarder. I had been hanging on to make up and hair products from 2005. I have no idea why I do this. I use a grand total of 5 products every day and that includes both hair and make up and yet I can not say good bye to the eye lash curler I have never used or the keratin hair straightening kit I bought in 2010 and never opened. Well all that junk is gone now. The next step was to start ripping out the cabinets. That was easy. They were relatively light and came apart easily. 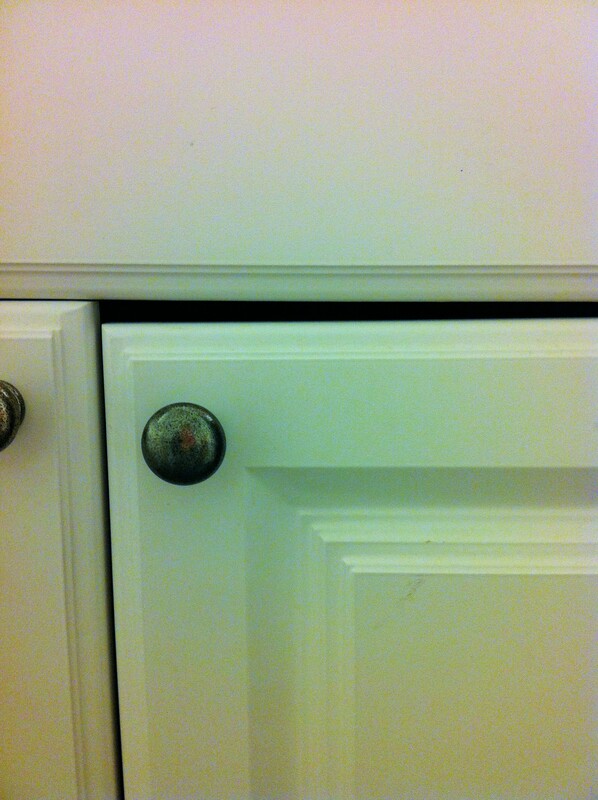 The tall cabinet had been glued to the wall. Who glues a cabinet to a wall?! 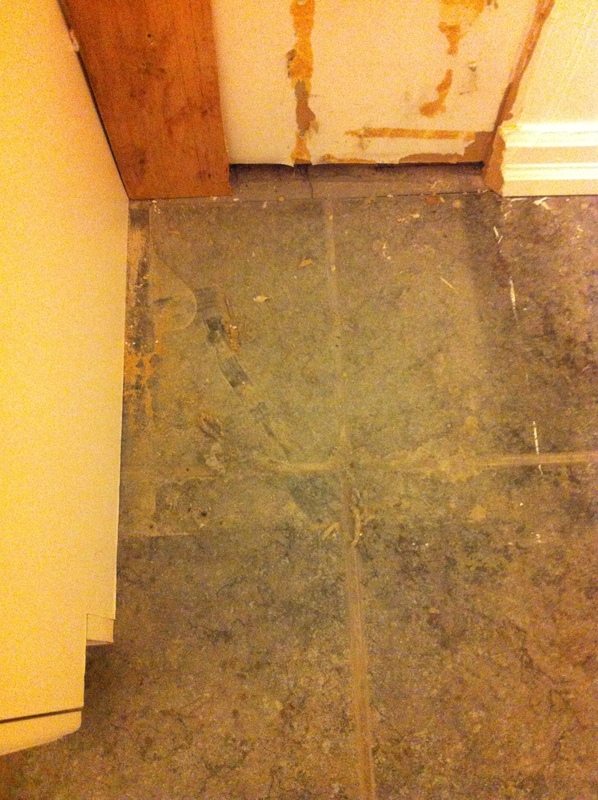 This left behind some torn drywall that Chris had to scrape off and then mud over. After the walls were prepped the painting began. We chose a colour called Ceylon Cream by Behr. In the store it looked like a light cream but in reality it is more of a light beige. I am still not sure if I like it. 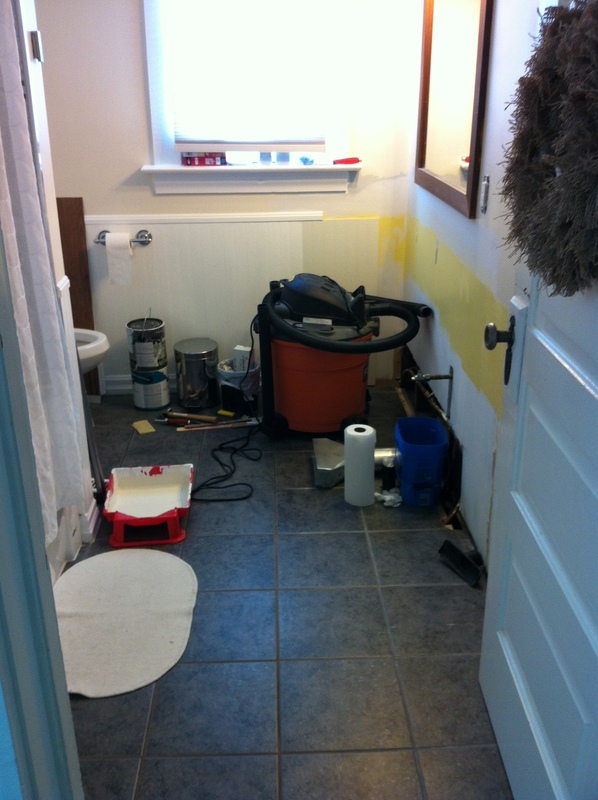 When the painting was done Chris started the flooring. We chose Vinyl planks that looked like hardwood. 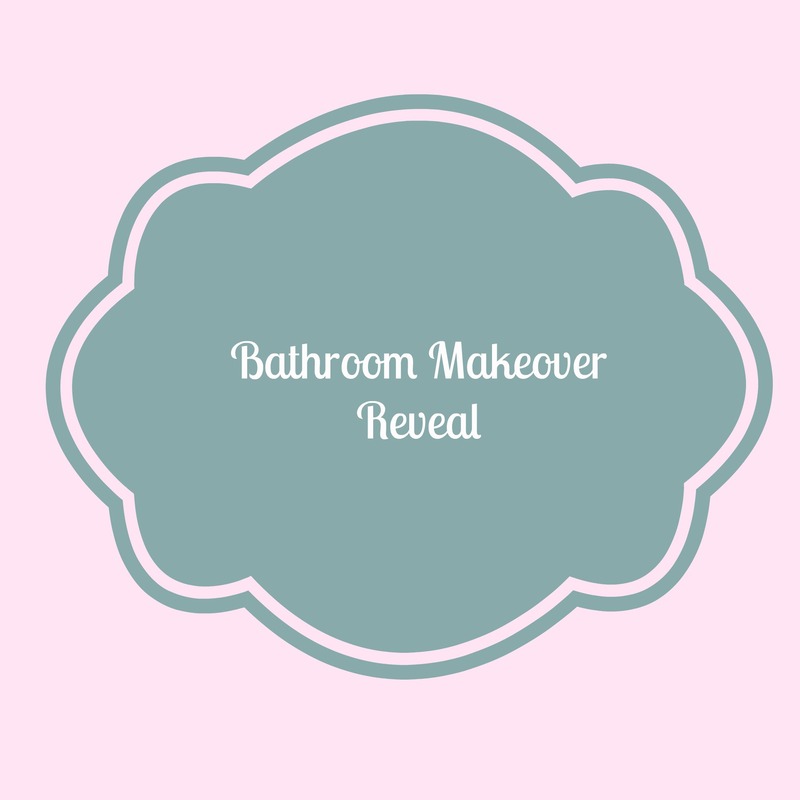 I have always loved the look of wood floors in the bathroom but it just isn’t practical with kids that still splash so much water out of the tub. 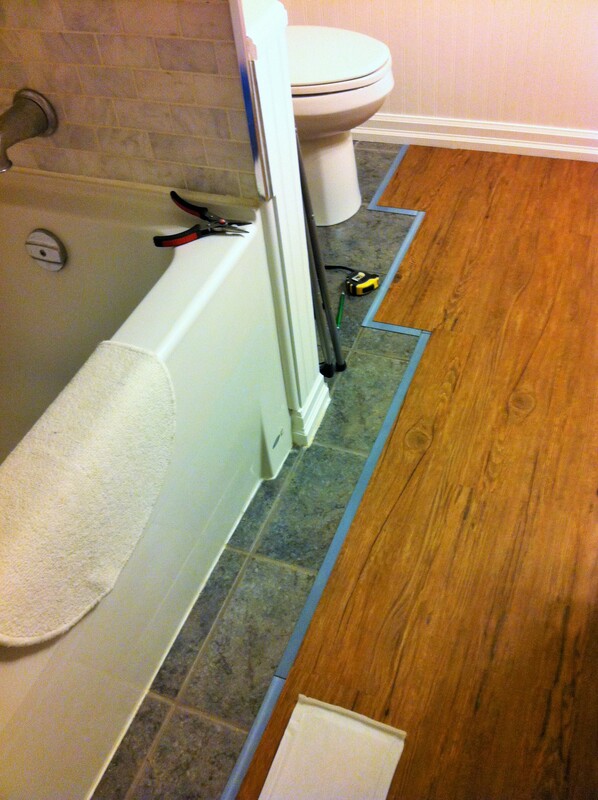 The flooring went down very quickly and was easy to cut even around the tub. We just put it down right over the old tile. The big challenge was getting the vanity upstairs. It had been in our dining room for weeks and just getting it behind the table was a challenge. It weighed about 300 pounds because the granite top had been glued on. We had to ask our super strong Cross fit neighbours to help us. They lifted it over their heads and moved it up the stairs the same way I would carry a stuffed animal. These people are seriously strong! 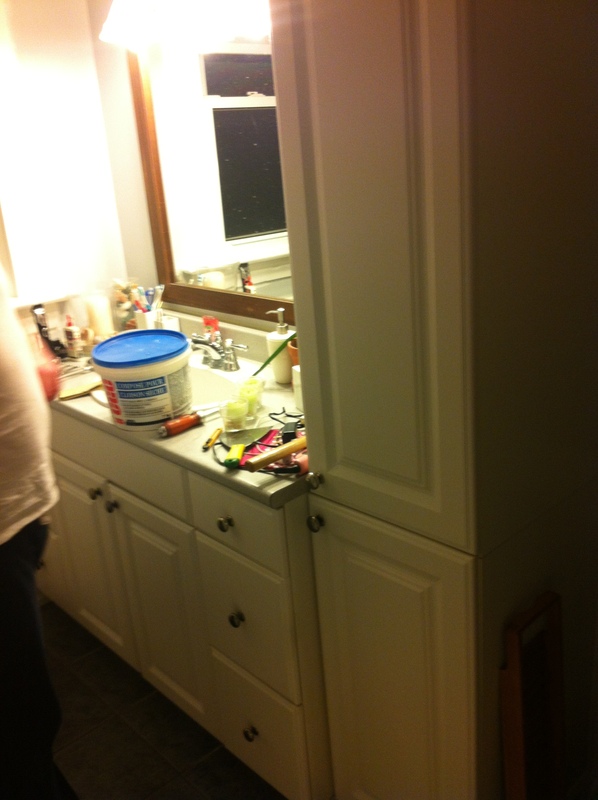 Once the vanity was in and all the plumbing had been hooked up it was time to think about mirrors and lighting. 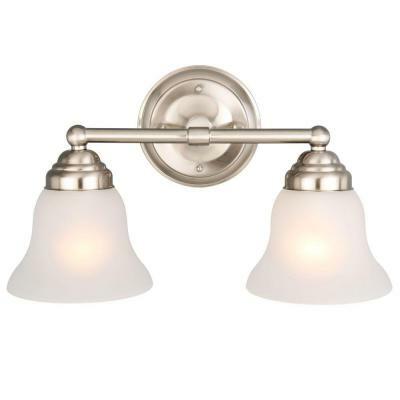 I got the mirrors from Home Sense for $29 each and the lights were from Home Depot. 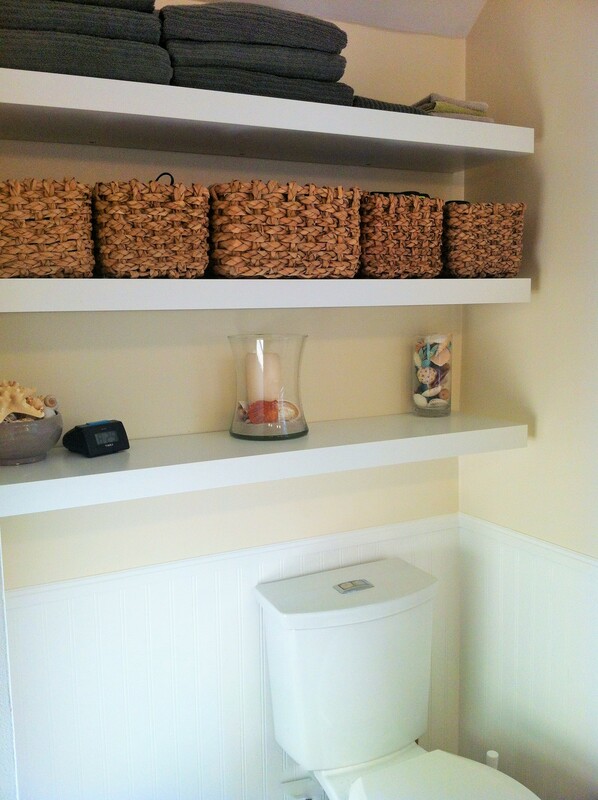 Instead of a medicine cabinet behind the toilet we decided on floating shelves from Ikea. I’m not sure how it worked but adding in three large shelves made that little space look huge compared to when we just had that little medicine cabinet up. Over all I am thrilled with how the bathroom turned out. It is nice and bright in there even without the light on. I know Chris wasn’t thrilled when I suggested we tackle the bathroom but he did a great job and he is much happier with how it looks.